One great way to transform ANYTHING is to paint it with chalkboard paint. 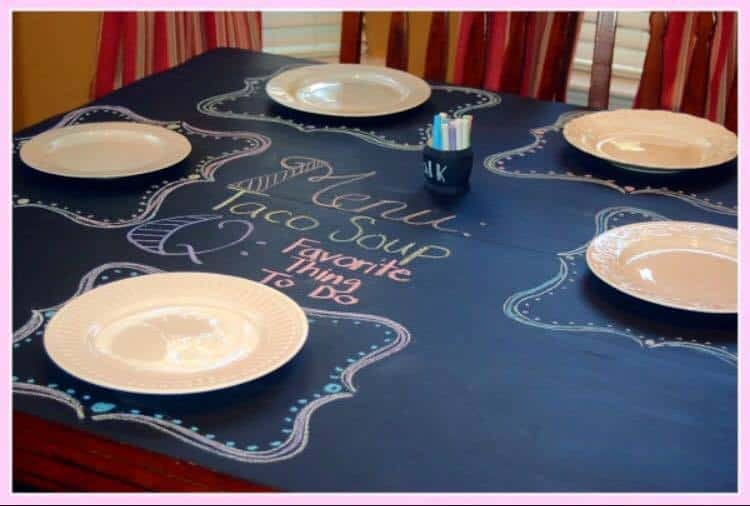 We love this idea for painting a dinner table with it! You can write the night’s menu, design decorative placemats, and add name tags! So fun! Perfectly shows what we do what we do at Agricola Redesign. Our specialty is reusing the things you already own and love to give you a new look without breaking the bank. Redesigning the space, and items you already own, to make your home feel like new! Click here to see other chalkboard paint decor ideas! And click here to see our gallery of before and afters!